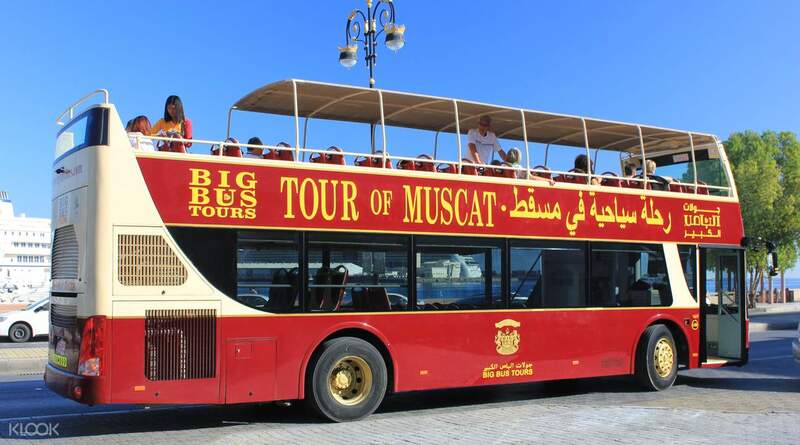 Explore Muscat and see the city's top sights on an open-top bus! Discover the fascinating history and the traditional Arabian charm of Oman's capital, Muscat! Marvel at the contrast between the city's traditional souks and its towering skyscrapers! We were disappointed to know that on non-cruise ship days there is no hop on hop off but only panoramic tour and whats more disappointing is we purchased the 48 hours ticket and both days are non cruise ship days. I recommend that Klook should advise the customers about this. The tour however is good, the drivers and staff are kind and accommodating. 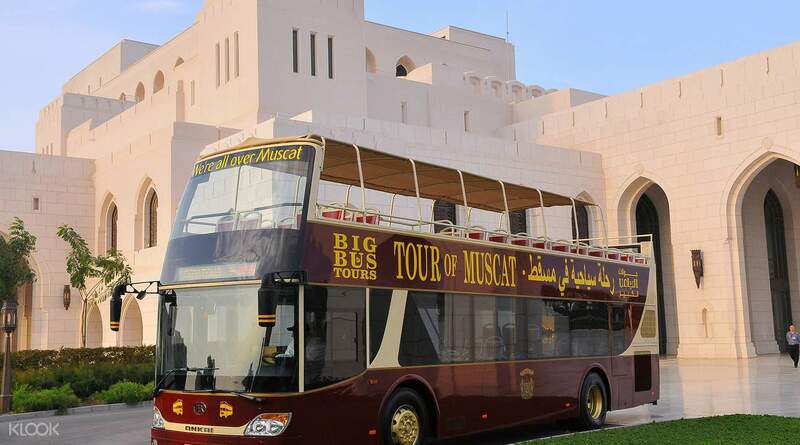 Discover Muscat's unique delights with complete ease and comfort with this hop-on hop-off tour with 8 different stops in its route. Explore the city at your own pace and leisure by choosing between the one day Classic ticket or the two day Premium ticket. Get 360-degree views of the sights as you sit on the bus, either inside the air-conditioned lower level, or upstairs on the open-top deck for the best sightseeing opportunities (remember to wear sun protection!) Listen to the entertaining audio commentary via headphones as go along the route and explore the city's top attractions, available in Arabic, English, French, German, Italian, and Spanish. See the top sightseeing attractions in Muscat: Al Jalai Fort, built by the Spanish Empire in 1580, Royal Opera House, which hosts 50 different shops, and some traditional souk that sells local goods. This is definitely a must-do attraction for anyone visiting the capital of Oman! For the best sightseeing opportunity, sit upstairs on the open-top deck but be sure to bring appropriate sun protection! it was generally good however be careful there were days with only panoramic tours and days with hope on hope off which was clearly menrioned however we didnt find the dates of these specified clearly. Also stop 5 Marina view the bus should let you down for 5 minutes to look and take photos not let you down and leave as we went down only to find its just a looking point with nothing around. They should also mention in commentry that if you go down there are no resturants, bathrooms....etc. it was generally good however be careful there were days with only panoramic tours and days with hope on hope off which was clearly menrioned however we didnt find the dates of these specified clearly. Also stop 5 Marina view the bus should let you down for 5 minutes to look and take photos not let you down and leave as we went down only to find its just a looking point with nothing around. They should also mention in commentry that if you go down there are no resturants, bathrooms....etc. We were disappointed to know that on non-cruise ship days there is no hop on hop off but only panoramic tour and whats more disappointing is we purchased the 48 hours ticket and both days are non cruise ship days. I recommend that Klook should advise the customers about this. The tour however is good, the drivers and staff are kind and accommodating. We were disappointed to know that on non-cruise ship days there is no hop on hop off but only panoramic tour and whats more disappointing is we purchased the 48 hours ticket and both days are non cruise ship days. I recommend that Klook should advise the customers about this. The tour however is good, the drivers and staff are kind and accommodating. Great that the Big Bus comes directly to the cruise ships and that you don’t have to locate it in town. The biggest tourist draw card is the King Qaboos Mosque. However, the Bus does not go there, nor does it provide a transfer. You have to essentially get off at the third stop and hire a taxi. This is a real downside. It is probably more cost effective to hire a taxi for four hours for a city and Mosque tour. Great that the Big Bus comes directly to the cruise ships and that you don’t have to locate it in town. The biggest tourist draw card is the King Qaboos Mosque. However, the Bus does not go there, nor does it provide a transfer. You have to essentially get off at the third stop and hire a taxi. This is a real downside. It is probably more cost effective to hire a taxi for four hours for a city and Mosque tour.